Three brothers are aiming to take Ayurvedic smokes to a level that they can compete with ITC. One of them, Piyush Chhabra, how they are doing it. India’s beauty and wellness industry has become a hub of innovations. It’s no surprise then that Franchise India 2016 had a host of innovative and off the hook concepts in this sector and grabbed eyeballs there. One of such products was Organic Smokes by Mea ame. 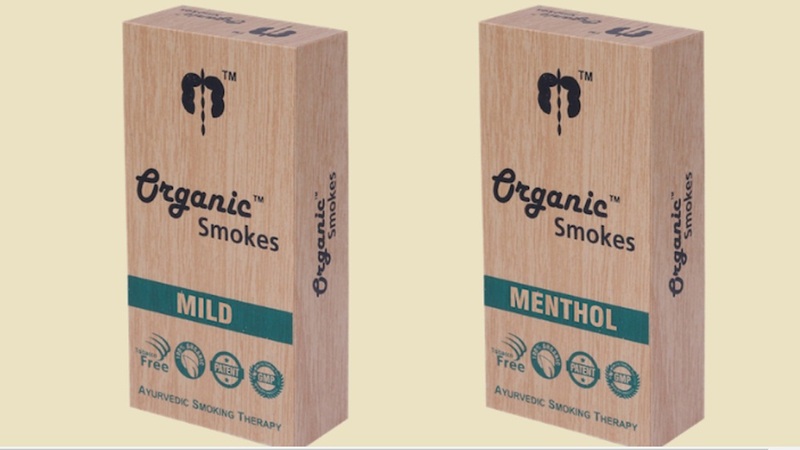 Conceptualised and launched by three brothers – Piyush, Gaurav and Nitin Chhabra – Organic Smokes takes Ayurveda one level up, making Ayurvedic cigarettes. Tell us about organic smokes. We came up with this idea in 2015. We are three founders basically – me (Piyush Chhabra), Gaurav Chhabra and Nitin Chhabra – brothers and partners. We jointly ventured into our new business. It is an Ayurvedic organic therapy for smokers. We came up with this because we also were smokers, but now we’ve all quit smoking because of this product. The idea came out of smoking only. We were smoking one day, so we thought of using some other ingredients rather than tobacco. We’re from the pharma background, we also used to trade in Ayurveda. So we picked up basil, green tea, rose petals etc, made a blend and rolled it into a piece of paper and smoked it. We consulted some doctors over it too, to confirm whether it was safe. They said it was a brilliant idea to pitch in the market. We got it patented as well. In June 2015, we got patented on the first day itself as a medicine by AYUSH Ministry. The paper we’ve used is also organic. It is oxymoronic paper. The normal cigarette has moronic paper which keeps vanishing once you light it up. This paper only vanishes only when you take a drag. To diminish the tar, we used tar out filter or tar secretor. It’s an attachment filter. The herbs are also organic, we get it from the Himalayas. We are working on the distribution channel. It is available online and we are shipping it throughout the world. What was the kind of investment you had to put in? We are self-funded. We have our own manufacturing facility. We invested around Rs 1 crore and now we have buyers from the US, Italy. This is the first time we are going ahead in the Indian market. We are making a point of sales plan which calls for an investment of Rs. 11,000 from the person who wants to set it up. We are giving a stock of 11,000 to whoever invests with a margin of 23 per cent. In that we will also be providing them with our branding box. What are the other benefits of the product? It heals bronchitis, cold etc. It controls cold. The main highlight is that we’re solving a major problem of youngsters who are working, smoking and stressed. Where do you see your product 5 years from now? We want to compete with ITC, that’s our aim. Our ultimate aim is to help people get rid of smoking tobacco. This is purely ayurvedic. This has a dosage of one smoke in 4 hours. Are you coming up with any other products? Yes, we’ll be launching waters, tea range and some more medicines into the organic and Ayurveda range. Inside The Body Shop Asia Fit Store..